On the 23rd (Thu), make a trip to The Mall, then contemplate in the serene atmosphere at Kali Bari Temple, then explore and take pictures at Indian Institute of Advanced Study, and finally admire the striking features of Viceregal Lodge. On the 24th (Fri), you'll have a packed day of sightseeing: walk around Annandale Ground, see the interesting displays at Annandale Army Heritage Museum, then examine the collection at Johnnie's Wax Museum, then admire all the interesting features of Gaiety Heritage Cultural Complex, and finally take in the spiritual surroundings of Jakhu Temple. To find traveler tips, ratings, maps, and other tourist information, read Shimla online trip maker . New Delhi to Shimla is an approximately 4.5-hour combination of flight and taxi. You can also drive; or do a combination of train and taxi. Cap off your sightseeing on the 25th (Sat) early enough to go by car to Manali. Kids will enjoy Manali Picnic Spot and Camps and Himvalley Manali Amusement & Culture Park. There's lots more to do: explore the activities along Beas River, take in the spiritual surroundings of Gadhan Thekchhokling Gompa Monastery, take in the natural beauty of Vashisht Baths, and admire the verdant scenery at Solang Valley. 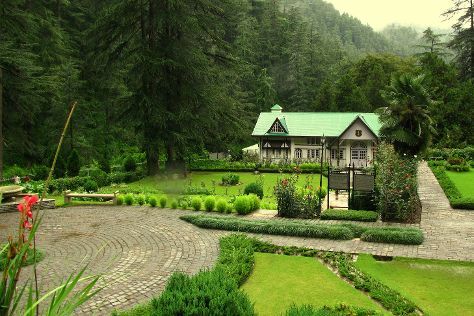 To see traveler tips, other places to visit, reviews, and more tourist information, refer to the Manali tour planner. Traveling by car from Shimla to Manali takes 4.5 hours. Alternatively, you can take a bus. Finish your sightseeing early on the 28th (Tue) to allow enough time to travel back home.